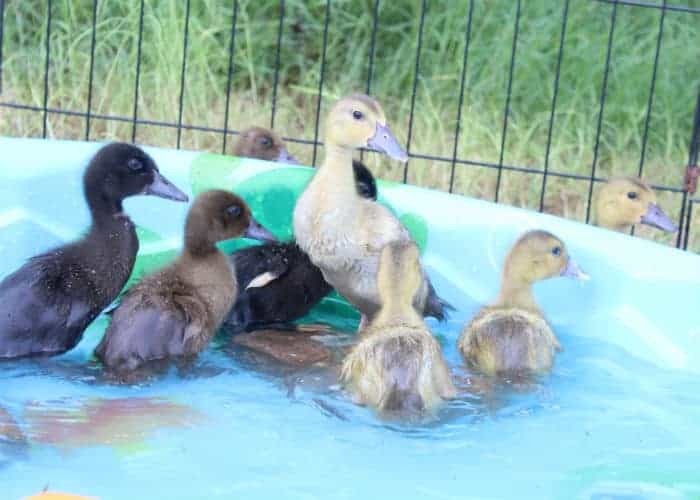 This weekend, the ducklings took their first official swim (that was outside of their water bowl, at least). They took to it like….well….a duck in water, LOL! They had a ball, and also loved the shrimp I offered them. (That was a first for them, too!) It’s amazing that even though they’d never seen the tiny shrimp before, the ducklings still knew that they were food. Although I didn’t see the adult ducks (their parents) really interact with the ducklings, I know they were curious because I did see them sneak a few peeks at the little ones, and hovered about once I left. I don’t think it registered that the ducklings are their children, but I do think they’re excited to soon have even more company! Very soon, we’ll start work on a new area for them that’ll include a duck house, a pool, and lots of space. During the day, the ducklings get to sunbathe – it’s very warm here still (it’ll be hot through October), so why not let them enjoy the weather? And they’re growing so big – I swear, they’ve grown 10x the size they were just a week ago. Definitely not tiny little ducklings that’ll fit in a shell anymore! Because ducklings have different dietary needs than chickens (they need more vitamin B), we’ve been feeding crumbles specifically for ducklings and adding brewer’s yeast (which we’ll carry in the store very soon) to make sure their bones grow strong. 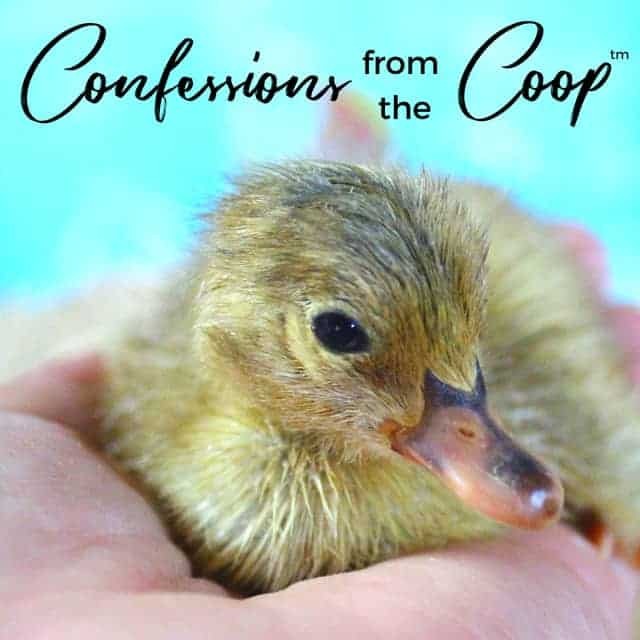 You’ll hear stories online about how you can feed ducklings chick starter – don’t listen to it. In my experience, all might be okay and…..it also might lead to ducks with poor bone development in their legs, which isn’t pretty and ruins their lives. Just feed them the right stuff and sleep better at night. The Lion Flock Grows Up! Well, the clutch of chicks we call The Lion Flock are growing up – they’ve left their grower tractor and now are in the main coop with the Silkies and my bantam Cochins. They’re so beautifully feathered, and now that they’re no longer in the tractor, I can get better photos to share with you. One pullet (I’m pretty sure it’s female) has beautiful grey feathers and a young roo has a nice dappling of brown, white, and black feathers. I can’t wait to see what they look like fully grown – they’ll be beautiful.